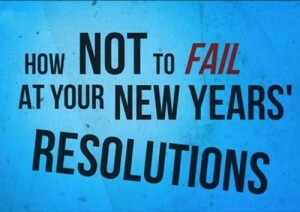 How Not to Fail at New Years Resolutions | GetAlongWithGod.comGetAlongWithGod | A blog about discovering a God worth knowing. 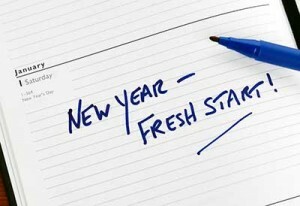 New Year’s Day is often fraught with many things such as resolutions and reflection. Between the celebratory meals and football games, people reflect on the coming year as well as looking back on the one that just ended. Broken resolutions from the past year get reapplied for another swing at bat. Things like, “I am going to go to the gym more often, I am going to read the whole Bible through this year, I am purposing to not yell at the kids as much, I am going to focus on building a better relationship with my spouse, I am going to journal every day this year, etc.” The list goes on and on with one thing in mind: being happier and living life more successfully. Happiness may mean more productive, better looking, feeling better, or just being a better person. It’s however we define “better.” And while reflecting on this, I see that though intentions might be strong, actual effectiveness wanes. How many resolutions leave us more defeated than victorious? Why? Because our flesh is an insufficient vehicle to perform actual life. As a Christian, my motivations must come from the Spirit and it is He who must also perform these resolutions. Living my resolve is clearly and solely based on Christ’s own Life, or it is just my forced efforts. And I don’t say this to be discouraging; I say this to encourage the hearts and souls of Spirit-filled Christians. The will of the Spirit provides the Life to perform. I am powerless to control my flesh. “I want to do what is good, but I don’t. 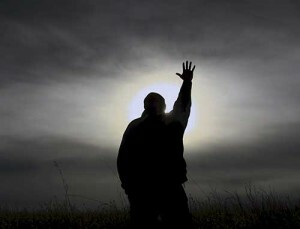 I don’t want to do what is wrong, but I do it anyway” (Romans 7:19 NLT). Since the beginning, all of humanity has wished to manage their own flesh, by the flesh. This just doesn’t work—PERIOD! I personally want areas of my life to change. I want to emerge from 2016 better than I entered it. But not in my own betterment, rather in the revealing of the Son of God’s own life being made manifest in me. Sure, there are some practical applications I feel led to implement in my life, but my focus is on surrender, not effort. Letting HIM be in me as He desires – not being all I can be. I pray that this is a year we each see Him with radiance and in joy. My hope is that He is made known through us, and in and to those we love. In the final hours of 2016, may it be said “that our outward lives, which men see, [brought] credit to our Master’s name, and that we [brought] joy to His heart by bearing genuine Christian fruit, and that our knowledge of God [grew] yet deeper” (Colossians 1:10 Phillips)! Sue, I agree! Most importantly, encouraging! Sharing it with my family today! Thank you, and God Bless Shulamites! “SURRENDER, not effort”…that says it all John. Thanks for this important foundation on which to build as we look to 2016. Happy New Year to all of you precious Shulamites. You are loved and appreciated! Brilliant and yes most importantly, encouraging!!!!! Bless you, so be it!!!! !